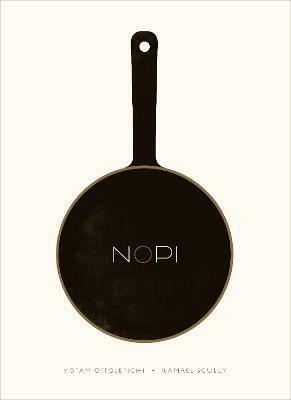 A cookbook from acclaimed London restaurant Nopi, by powerhouse author Yotam Ottolenghi and Nopi head chef Ramael Scully. Pandan leaves meet pomegranate seeds, star anise meets sumac, and miso meets molasses in this collection of 120 new recipes from Yotam Ottolenghi's restaurant. In collaboration with Nopi's head chef Ramael Scully, Yotam's journey from the Middle East to the Far East is one of big and bold flavors, with surprising twists along the way. YOTAM OTTOLENGHI is the author of Plenty, Plenty More, and co-author with Sami Tamimi of Ottolenghi and Jerusalem, which was awarded Cookbook of the Year by the International Association of Culinary Professionals, and Best International Cookbook by the James Beard Foundation. All four books were New York Times bestsellers. He lives in London, where he owns an eponymous group of restaurants and a high-end restaurant, Nopi. RAMAEL SCULLY was born in Kuala Lumpur, Malaysia and started his culinary career at the age of 17 in Sydney, Australia. Now head chef at Nopi, Scully first worked under Yotam Ottolenghi in 2004 at Ottolenghi.